There are very few 4G Smartphones available now to support LTE Category 4 with 150 Mbit/s download speed. 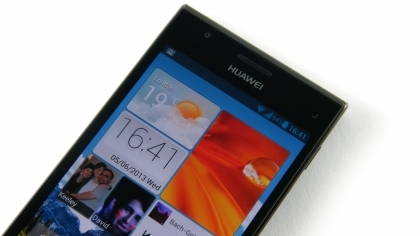 The Huawei Ascend P2 is one of them; it was presented in February 2013 during the Mobile World Congress. We have tested the new Smartphone in the networks of Telekom and Vodafone. Particular attention was paid to the ability in the LTE networks and the high speed data rates. The Huawei Ascend P2 is available with black or white back. The front of the display is black for both models and both rounded upward as well as downward, which leaves a good impression. The size is 0.8 x 6.7 x 13.6 cm with a weight of approximately 122g, which is just acceptable; one hand operation is a little bit difficult. 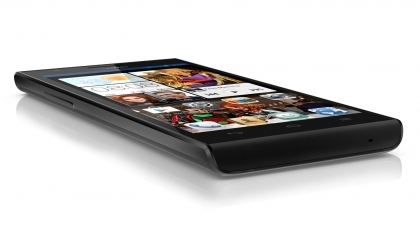 The screen is 4.7 inches in diagonal size and display with 1280 × 720 pixels. This means the Huawei Ascend P2 doesn’t have the highest pixel density, but still offers an exceptionally good picture: it is very bright, the colors are realistic and the viewing angles are excellent. The operating system used Android not-so-current version 4.1.2 Jelly Bean. Huawei has installed his “Emotion UI” surface, which should be a real simplification for most users. User can install the APPs to the smartphone. Based on the good solution design, the software is extremely fast, apps open almost instantly. 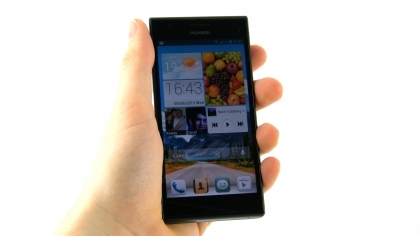 Huawei P2 is not keeping up with current flagship Smartphones and not has the much more powerful hardware. 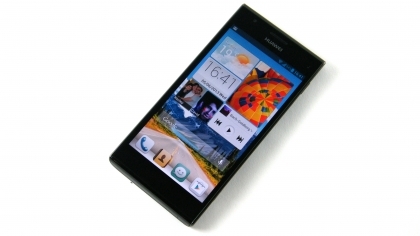 Huawei Ascend P2 is based on a HiSilicon K3V2 quad-core processor with 1.5 GHz clock rate, which are 1 gigabyte of memory. 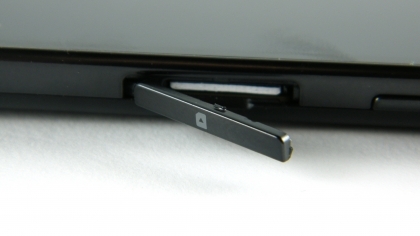 In Huawei Ascend P2 Smartphone there is built-in LTE modem that also used in various modems from Huawei, for example, the Huawei E3276 or the Huawei E5372. It allows speeds of up to 150 Mbit/s for the downlink and up to 50 Mbit/s for the uplink, i.e. LTE Category 4. In the test, the maximum speed was around 120 Mbit/s with network of Deutsche Telekom, when working with Vodafone, nearly 80 Mbit/s download speed can be achieved. In addition to LTE network supported, 3G UMTS network is also supported, but only 21.6Mbps download speed could be reached. Almost all other manufacturers now offer DC-HSPA+, up to 42.2 Mbit/s could be achieved. Huawei also offers DC-HSPA+ for many years in various modems, but why here DC-HSPA+ was saved at Ascend P2, remains a mystery. The same is also for the WLAN module: this only supports the 2.4 GHz frequency band, which is absolutely not up to date for a high-end Smartphone. The received power is overall quite good, compared to other Smartphones but not significantly better. Which is worth mentioning is definitely the manual network search: in contrast to most other Android Smartphones, Huawei Ascend P2 displays networks as separated by wireless technology (2G, 3G, 4G), which is a nice thing, in particular for mobile enthusiasts. You can manually switch between the 2G, 3G & 4G networks. The internal memory is 16 gigabytes, which is not particularly large, especially when it is not expandable via memory card. So you have to often transfer the photos in the 4G Smartphone to a computer to get back free space. The 13-megapixel camera takes pretty good photos and also also beautiful full-HD videos. 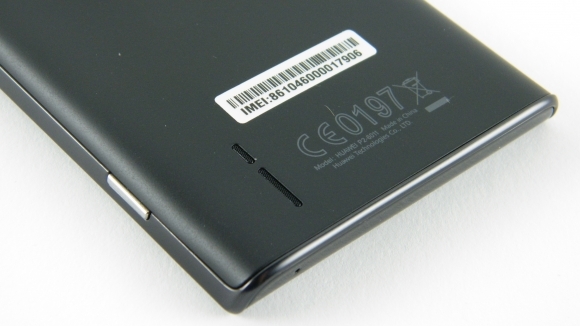 The battery offers 2,420 mAh, which is comparatively good capacity and thus a solid runtime. Not connected with LTE, the Huawei P2 can get so loose over an entire working day. All in all, the Huawei Ascend P2 is a beautiful smartphone that worth to buy based on all his good display and fast software.